Blemished DVD means the box is damaged, but the DVD is usable. If the DVD does not play, we will exchange or refund if not available. 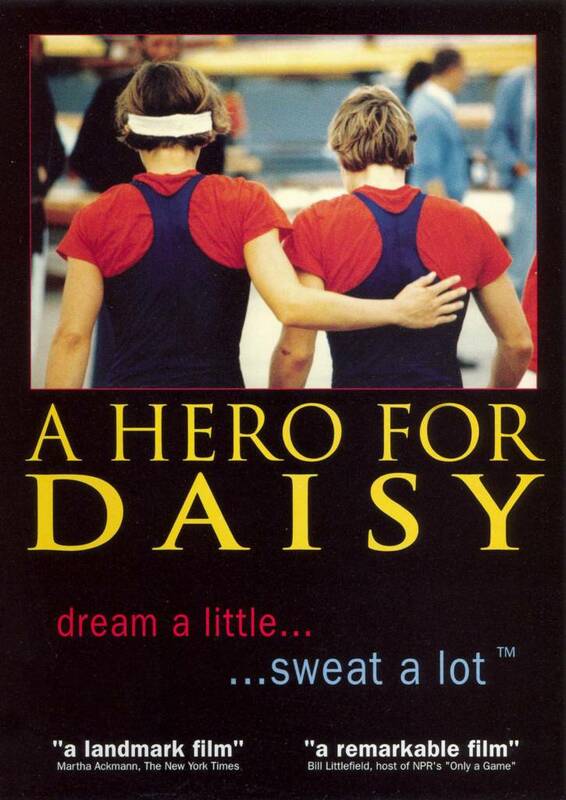 A Hero for Daisy chronicles two-time Olympian and Title IX pioneer, Chris Ernst. In 1976, Chris galvanized her rowing team at Yale University to storm the athletic director's office to protest substandard conditions for the women. Nineteen women stripped, exposing the phrase "Title IX" emblazoned in blue marker. The demonstration was covered by all of the major news outlets the following day, and the Yale phones started ringing. The women found themselves with new locker rooms two weeks later. The nation, by virtue of this action, became acquainted with Title IX. The film, hailed as a "landmark" film by The New York Times, "inspirational" by TVGuide, "fantastic" by Sports Illustrated, "remarkable"  NPR, aired nationwide on ESPN Classics, Oxygen, and WTSN-Canada. Invited to screen at the Smithsonian, A Hero for Daisy was awarded a Gracie as well as a Women's Sports Foundation Journalism Award, and is in thousands of classrooms across the nation. Most importantly, A Hero for Daisy continues to inspire and energize girls and women across North America, as well as their fathers and brothers. In short - the impact of the film has been dramatic - from a father of a very tall 9 year old who wrote to report that his daughter felt less bad about her appearance after seeing the film - to parents writing to say that the film jump-started dialogue with their teenage children - to 40 Connecticut College athletes who, after seeing the film, were inspired to take a stand with respect to inequity within their own athletic department - to a woman in her 50's who became inspired to challenge the glass-ceiling at her financial institution.